OTTAWA -- Justin Trudeau is sticking to his lines on Jody Wilson-Raybould, saying that if she had a problem with how the government handled the criminal prosecution of a major Quebec company, she had a duty to speak up about it earlier. At a short appearance in Sudbury, Ont., Trudeau dodged a question about what the former justice minister told him about why she quit his cabinet this week, leaving the microphone rather than answering. Wilson-Raybould was demoted to be minister of veterans affairs in a January cabinet shuffle. Reports attributed to unnamed sources have it that Trudeau had pressured her last fall to help avoid a prosecution of Quebec's SNC-Lavalin on corruption and bribery charges related to its dealings in Libya. On Monday, Trudeau pointed to her continuing presence in the federal cabinet as a sign that she supported the government. She told him that night she was resigning and made the decision public the next day. In a statement, she said she has hired a former Supreme Court justice, Thomas Cromwell, to advise her on how much she can say without violating solicitor-client privilege. 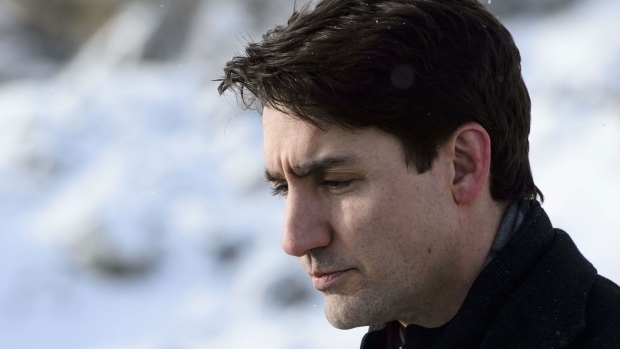 Trudeau has denied Wilson-Raybould was pressured last fall to instruct the director of public prosecutions to negotiate a remediation agreement with SNC-Lavalin rather than pursue a criminal trial. Trudeau spoke while the House of Commons justice committee met in Ottawa, its members arguing over the scope of a probe of the matter. Liberals hold a majority on the committee, so much of the power is in their hands. One of them, Edmonton MP Randy Boissonnault, began the meeting by proposing a list of three witnesses: Justice Minister David Lametti, Privy Council clerk Michael Wernick, and the deputy minister of justice. They could testify on the Shawcross Doctrine, the rules about how the attorney general should conduct him- or herself to keep law enforcement and politics separate, committee chair Anthony Housefather said, suggesting the three names are just a start. The New Democrats' Nathan Cullen pointed out that Wilson-Raybould is not on the Liberals' list and her account is likely the most important. He proposed a longer list of people who should testify, which the Liberals rejected on a 5-4 vote. Boissonnault insisted he's not trying to cover anything up, because the Liberals could have shut the whole effort down if they wanted to. "I think we're moving forward," Housefather said. The committee is to meet, using its three-witness list, on Tuesday. Conservative deputy leader Lisa Raitt said that if Liberals believe Prime Minister Justin Trudeau's insistence that the allegation is false, they'd support "without hesitation" an opposition motion calling for the justice committee to hear from nine senior players in the government, including Wilson-Raybould herself, Lametti, and top staffers in the Prime Minister's Office. Conservative Leader Andrew Scheer, who is touring New Brunswick, repeated that message a short time later. "The truth is not partisan," he said. Scheer accused Trudeau of "trying to paint himself as the victim in all of this," while "publicly impugning (Wilson-Raybould's) character in a way that prevents her from speaking for herself." Raitt said the Conservatives would pursue other options if the Liberals blocked or watered down a committee inquiry. Among the options, she mentioned a judicial inquiry or an investigation by a Senate committee. She did not rule out asking the RCMP to investigate. Federal ethics commissioner Mario Dion has initiated his own investigation into the matter, specifically whether there's been a violation of the Conflict of Interest Act. 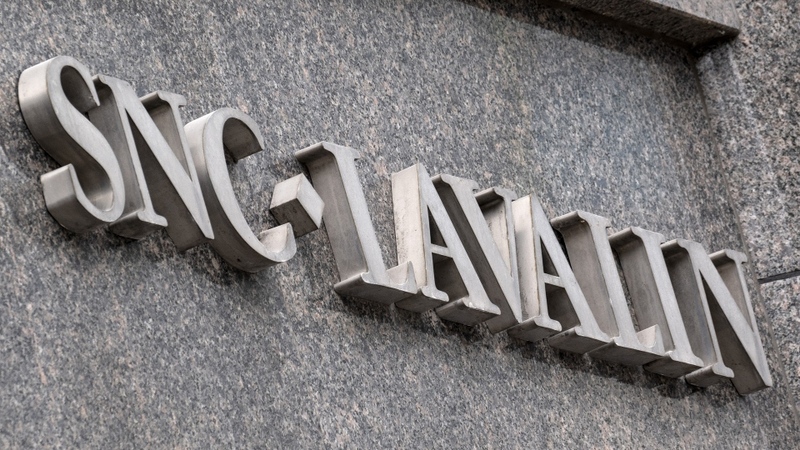 In the wake of the allegations and Dion's review, SNC-Lavalin had its debt rating downgraded Wednesday by Standard & Poor's to BBB- from BBB.